A Northwest Native, Connor grew up in Eastern Washington but has lived all over the state in some incredible places, including Bainbridge Island. Connor is a former Outdoors for All team member and, after two years away, is excited to be back on staff! 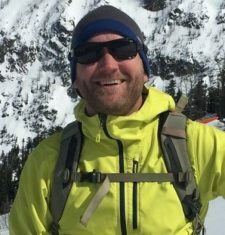 Prior to being appointed Associate Executive Director, his professional background ranged from 8th grade teacher to Wilderness Therapy Field Instructor to Summer Camp Director. In his spare time, Connor prefers to have a little fun enjoying the Salish Sea by kayak or sail, skiing the Cascades and riding his bicycles. He currently lives in Northeast Seattle with his wife Claire and their pup Tilly.